Since we last saw this beautiful frame, the masons finished the stone work. This helps to ground the structure and ties it in aesthetically to the surroundings. This week, we will be adding the top soil around the post and beam frame, and in the coming weeks the owners will plant grass seed and flower beds to complete the project. 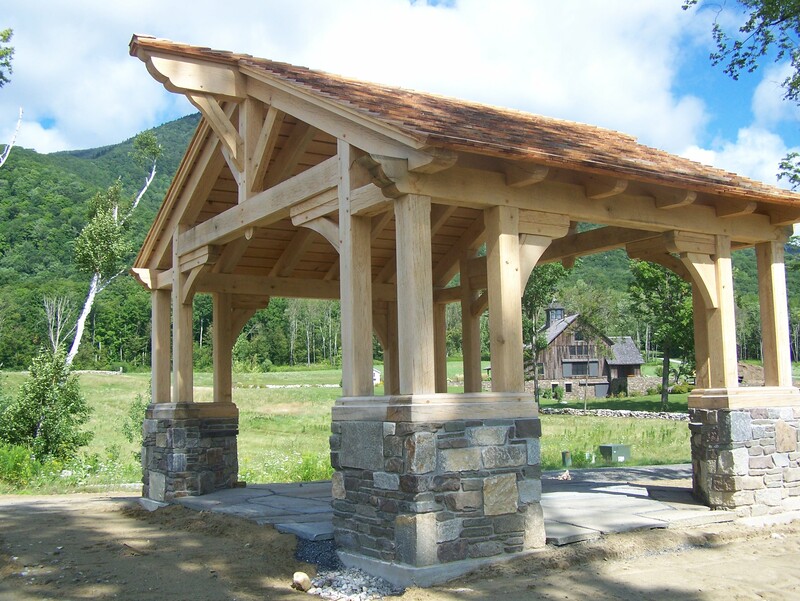 It’s truly a special timber framing project and I enjoyed working on this beautifully designed timber frame. While I tend to work more with restored frames from post-colonial times, working on this frame was a lot of fun and I enjoyed learning more about the Greene brothers and their work. We would be love to hear what you think of this frame and our other projects. 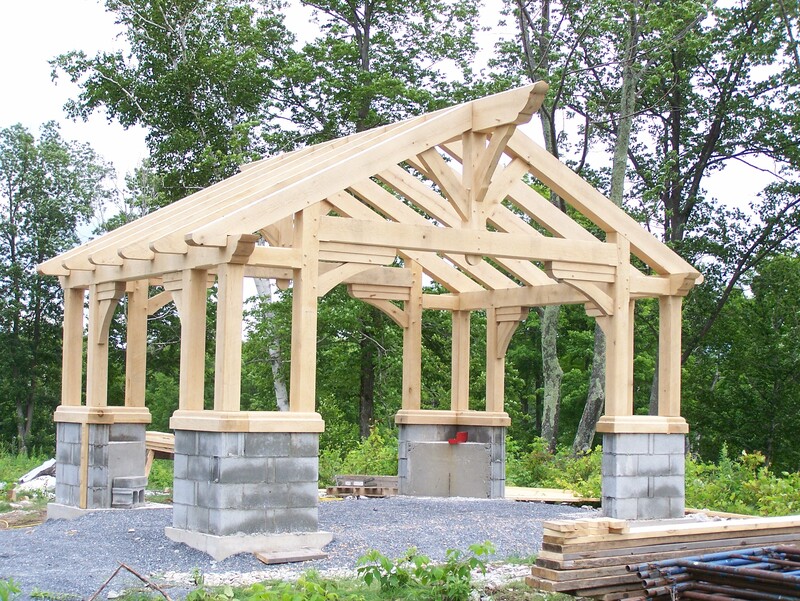 Please take a look at the other available timber frames for sale at our shop! If you are interested in a barn style home, please contact us. 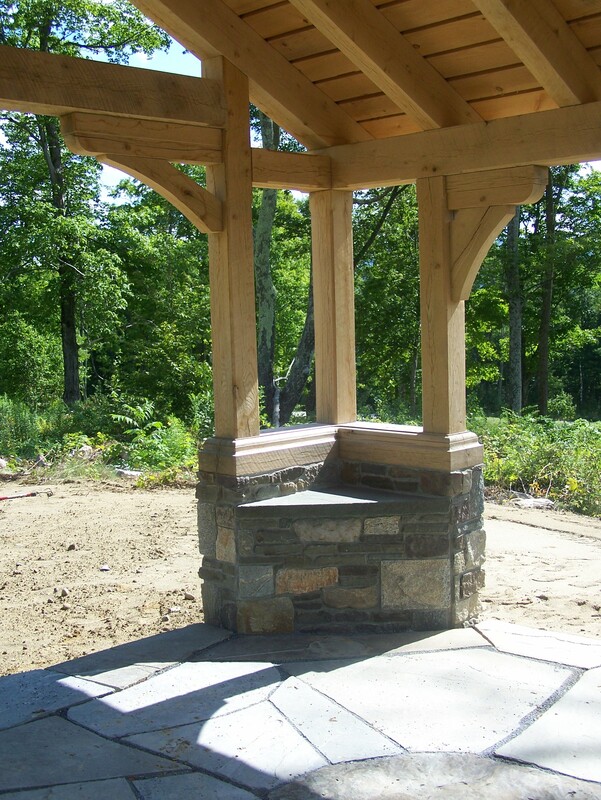 This entry was posted in Green Mountain Timber Frames, Post and Beam, Sold Timber Frame Homes, Timber Frame Projects and tagged American Architecture, American heritage, gazebo, Greene and Greene, historic properties, New England history, Post and Beam, timber frame vermont, vermont timber frames, vermont timberframes by Green Mountain Timber Frames. Bookmark the permalink.